One of the finest Sopranos to emerge from Australia in recent years, Cheryl Barker is particularly noted internationally for the Puccini heroines most notably for Madama Butterfly, singing this role for, Hamburg State Opera, Deutsche Oper, Berlin, Netherlands Opera, English National Opera, De Vlaamse Opera Belgium, Welsh National Opera and Houston Grand Opera. International appearances include Jenifer (A Midsummer Marriage) Royal Opera, Covent Garden, Foreign Princess (Rusalka), Governess/Miss Jessel (Turn of the Screw), Musetta (La bohème), Donna Elvira (Don Giovanni), Tosca, Salome and Emilia Marty (The Makropoulos Case) ENO; Maria Stuarda/ReisOper; Violetta (La Traviata)/Hamburg State Opera/Deutsche Oper; Suor Angelica, Giorgetta (Il Tabarro), Mimi (La bohème), Desdemona (Otello), Liu (Turandot), The Merry Widow/De Vlaamse Opera, Katya Kabanova/Welsh National Opera/Geneva. For Opera Australia Nedda/I pagliacci, Countess/Le nozze di Figaro, Mimì, Violetta (La traviata), Donna Elvira, Tatyana, Giorgetta, Suor Angelica and Lauretta (Il Trittico) and the title roles in Madama Butterfly, Tosca, Jenufa, Rusalka, Arabella and Salome for which she won Green Room and Helpmann Awards. Recent and forthcoming engagements include, Desdemona, Emilia Marty, Madama Butterfly, Manon Lescaut, Marschallin/Der Rosenkavalier, Countess/Capriccio, Marietta/Die tote stadt and Salome for Opera Australia, Tosca and Otello for Opera Queensland, Madama Butterfly in Paris, Welsh National Opera and Taipei, Emilia Marty in Amsterdam, Opera du Rhin and Strasbourg, Francesca da Rimini, Adriana Lecouvreur for Opera Holland Park, London and The Perfect American, Opera Queensland. Cheryl is an accomplished concert performer, appearing at many prestigious international venues including London’s Barbican, Royal Albert Hall, Queen Elizabeth Hall, Wigmore Hall, St John’s Smith Square, Vienna Konzerhaus and for the Halle Orchestra. Cheryl has an extensive recording career, including the title roles of Butterfly, Katya Kabanova, Makropoulos Case, Rusalka, Der Rosenkavlier, as well as several solo discs for Chandos, Melba recordings and ABC Classics. Cheryl was awarded an OAM in 2015 for distinguished service to the performing arts as an operatic soprano, as a mentor and role model, and through fundraising support for educational opportunities for the next generation of opera singers. One of Australia’s most respected singers, Michael is highly regarded for his command of both operatic and concert repertoire. Throughout his distinguished career, he has worked with many of the world’s leading conductors, directors, singers and orchestra’s in Europe, U.K., America, Mexico, Australia, New Zealand and Asia in a wide range of roles from Mozart to Wagner to 20th and 21st Century works. From a repertoire of 45 roles, Michael is particularly recognised for his interpretations of the work of Verdi, having performed 12 of the Italian masters’ works. 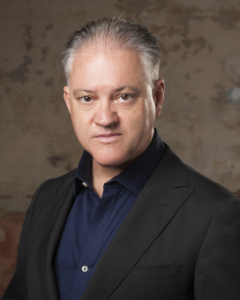 On the concert platform, Michael has appeared with numerous orchestras around the world and all of Australia’s symphony orchestras, his repertoire encompassing all of the major baritone works. Michael was awarded an OAM in 2008, for services to the arts and the community. 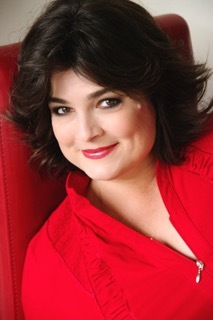 Nicole Youl is one of Australia’s leading opera singers. 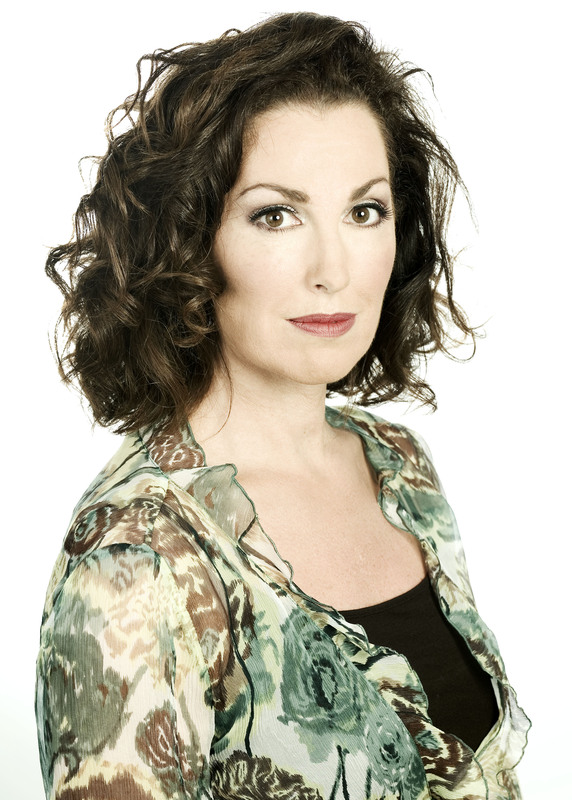 With a Diploma of Arts in Music from the Victorian College of the Arts where she studied singing with Dame Joan Hammond, Miss Youl then went on to win the Herald-Sun Aria in 1991 after which she travelled to London for further study. She was a finalist in the 1994 Placido Domingo World Operalia competition in Mexico City and won both the Metropolitan Opera Awards in 1995 and the Rome Opera Award in 1996. She also won the Australian Singing Competition’s Opera Awards in 2002. Miss Youl made her mark as a soprano in the works of Puccini and Verdi– she has performed the title role in Madama Butterfly (Opera Australia), Mimi in La bohème (Opera Australia, Opera Queensland, Paiz Festival in Guatemala), title role in Tosca (Opera Australia, Victorian State Opera), Liu in Turandot (OA), Giorgetta in Il Tabarro, the title role in Suor Angelica and Lauretta in Gianni Schicchi (OA), Leonora in Il Trovatore (West Australian Opera, Opera Australia) and Amelia in Un Ballo in Maschera (OA). Other roles include Elsa in Lohengrin (OA), Fidelio (OA), Santuzza in Cavalleria Rusticana (OA, WAO), Micaela in Carmen (OA, OQ and WAO), Diane in Iphigenie en Tauride (OA), Donna Elvira in Don Giovanni (VSO), First Lady in The Magic Flute (OA) and Die Vertraute and Die Vierte Maid in Elektra (Teatro dell’ opera di Roma). On the concert platform, Nicole has performed as soprano soloist with the major Australian orchestras in Mahler’s Symphony No.2 and No.8, Verdi’s Requiem, Rachmaninov’s The Bells, Bruckner’s Te Deum and Strauss’ Four Last Songs and Wagner’s Wesendonck Lieder. She sang Wellgunde in Götterdämmerung and Tove in Gurrelieder for the Perth Festival and Ortlinde in Die Walküre for the Sydney Symphony. Having now made the exciting move to Mezzo Soprano, where she started when a student, Nicole now relishes the challenge of another chapter to her story. Sydney-born Stephen Mould is a graduate of the Sydney Conservatorium of Music. In 1985, he moved to London to continue his studies at the Royal Academy of Music. During this time, he was active as an orchestral and choral conductor and as a freelance repetiteur. 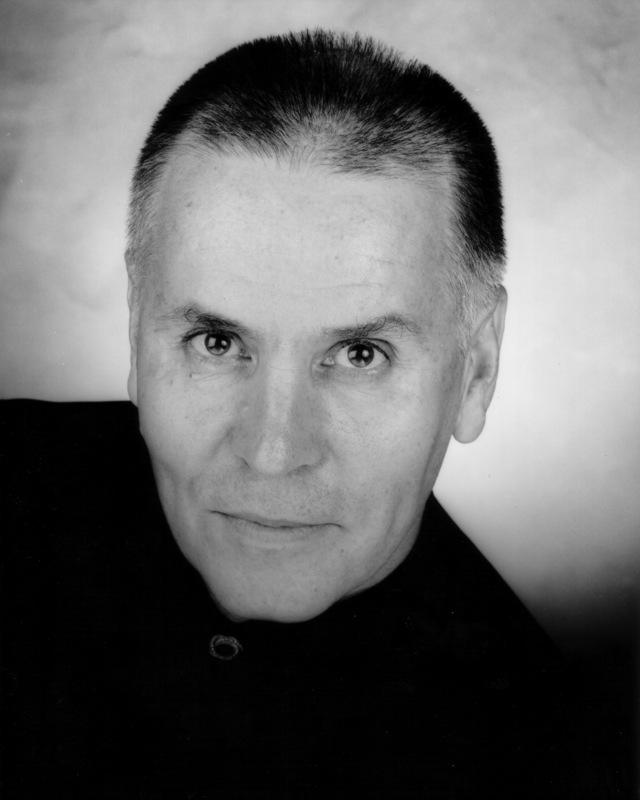 In 1988, he was appointed Head of Music at the Lyric Opera of Queensland, in Brisbane and, in addition to conducting several productions for that company, was also engaged for concerts with the Queensland Philharmonic Orchestra, the Queensland Symphony Orchestra, and conducted opera productions with the Queensland Conservatorium of Music. In 1990, Mr Mould returned to Europe and was engaged as a conductor and musical assistant by a number of opera houses and festivals in Germany, Belgium, Norway and Italy. In 1990, he was engaged as an assistant at the Théatre de la Monnaie, Brussels and in 1992 was appointed to the staff of Opera Frankfurt as assistant to the Music Director. During this time, he was also engaged as a teacher at the music conservatorium in Frankfurt. In 1996, he joined the music staff of Opera Australia. Subsequently, Mr Mould has undertaken engagements for the Sydney Festival, the Melbourne Festival, Symphony Australia and the Sydney Philharmonic Choirs. He was also engaged for State Opera of South Australia’s productions of Wagner’s Der Ring des Nibelungen (1998 and 2004) and Parsifal (2002). Stephen Mould was Head of Music at Opera Australia between 2004 and 2008 and, since 1998, has regularly appeared as conductor for the Company. His repertoire has included: La bohème, Simon Boccanegra, Die Zauberflöte, Le nozze di Figaro, La Voix Humaine, Rusalka, Carmen and The Makropulos Secret. In addition, he has appeared with the Sydney and Queensland Symphony Orchestras, the SBS Youth Orchestra, and is a regular guest with Willoughby Symphony Orchestra. 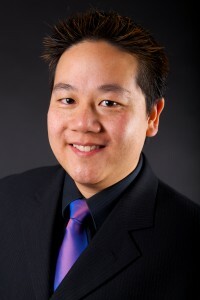 In 2006, he conducted Cavalleria Rusticana and Pagliacci for the Macau International Music Festival and, in 2008, made his American debut for Baltimore Opera conducting Madama Butterfly. He also appeared in New Zealand with the Auckland Philharmonia. Mr Mould is currently Chair of Opera Production and Senior Lecturer in Operatic Studies at the Sydney Conservatorium of Music while continuing his freelance activities as a conductor and accompanist. Recent engagements have included The Mikado and a new production of Le nozze di Figaro for Opera Australia and Così fan tutte for Opera Queensland. 2014 performances included concerts with the Queensland Symphony, Messiah for New Zealand Symphony and Assistant Conductor for Elektra with the Sydney Symphony. Originally trained as a pianist, Henry achieved an Associate Diploma in Singing under the tutelage of Noel Ancell OAM. He furthered his vocal and operatic studies at the Melba Conservatorium of Music and the Australian National Academy of Music, and with the late French repertoire specialist and vocal educator Susan Falk. Henry is an alumnus of both the Young Artist Program of Opera Queensland and the Moffatt Oxenbould Young Artist Development Program of Opera Australia. He made his career debut in the role of Ernesto in Opera Queensland’s production of Don Pasquale , and his principal debut with Opera Australia as the Italian Singer in Der Rosenkavalier. Roles for Opera Australia have included Nemorino in L’elisir D’amore, Gerald in Lakmé , Nadir in Les pêcheurs de perles, Tamino in The Magic Flute , Don Ottavio in Don Giovanni , Ferrando in Così Fan Tutte, Count Almaviva in Il Barbiere di Siviglia, Lysander in A Midsummer Night’s Dream, Tebaldo in I Capuleti e i Montecchi, to name but a few. 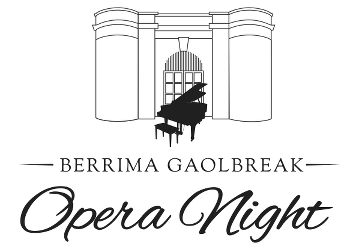 Whilst roles for other companies have included Cassio in Otello, Don Ottavio in Don Giovanni and Nadir in Les pêcheurs de perles for West Australian Opera, Count Almaviva in Il Barbiere di Siviglia for State Opera South Australia, Ferrando in Così Fan Tutte for Harbour City Opera, Lord Riccardo Percy in Anna Bolena for OperaBox, and Martin in The Tender Land for Lyric Opera of Melbourne, for which he has received a Green Room Award nomination for best male operatic lead. Henry’s concert and corporate profile has been impressive and varied, having performed in concert with Susan Graham (under the baton of Edo de Waart), the Hong Kong Philharmonic Orchestra, Auckland Philharmonia Orchestra, Orchestra Wellington, Melbourne Symphony Orchestra, Sydney Symphony Orchestra, Queensland Symphony Orchestra, Tasmanian Symphony Orchestra, Orchestra Victoria, Australian Youth Orchestra, The Australia Ensemble, the Australian Army Band, the Three Chinese Tenors and the Three Australian Tenors. Henry has been broadcast on local and international media on numerous occasions, appeared on television current affair programs, and also features as a sung voice-over in the P. J. Hogan film “Mental”, starring Toni Collette. On a more traditional front, Henry has performed as tenor soloist in many oratorio and symphonic works including Mahler’s Symphony No. 8, Mozart’s Requiem, Händel’s Messiah, Beethoven’s Symphony No. 9, Bach’s St John Passion, St Matthew Passion and Christmas Oratorio, Mendelssohn’s Elijah and Orff’s Carmina Burana. Recent concert highlights include the premiere performance of An Australian War Requiem by Christopher Bowen OAM in commemoration of the centenary of WWI, and the premiere of Gordon Hamilton’s work, The Trillion Souls, with the Queensland Symphony Orchestra. 2015 has already seen Henry perform the role of Lord Riccardo Percy in Anna Bolena, and Beethoven’s Symphony No. 9 with the Queensland Symphony Orchestra. Other engagements for 2015 include the Beethoven Choral Fantasy with Melbourne Symphony Orchestra, Bach Magnificat with Christchurch Symphony Orchestra, and Bach’s Christmas Oratorio with Bach Music NZ.